During your culinary tour in China all you need are chopstick skills and our expert guides who scoured this mysterious place for the best regional cuisines. Eat hairy crab and learn how to cook xiao long bao in your cooking classes in Shanghai. Visit China’s most famous tea plantations Dragon Well in the picturesque mountains of Hangzhou. Beijing dishes up Peking duck dripping in plum sauce and spicy hotpots on a food tour near the Forbidden City. Enjoy a picnic on a secluded spot on the Great Wall. Food stalls in Sichuan make eyes water with chili-laced pork dishes and peppery tofu. Over 5,000 years history, stunning landscape and a multitude of regional cuisines make this food vacation a once in a lifetime experience. 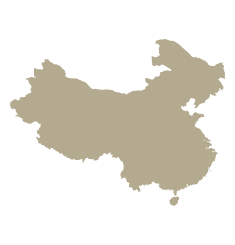 Many unique regional food styles contribute to the China’s extensive cuisine. 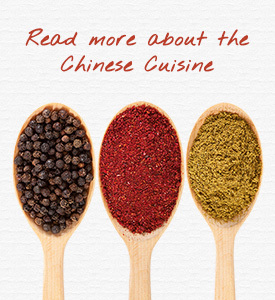 The most well known of the 8 different cooking styles are Cantonese, Shandong, Jiangsu and Szechuan cuisine forms. These types are distinctive from one another due to the available products, climate and geography, historical influences, variations in cooking techniques and population lifestyles. Whilst one regional style may emphasize garlic and shallots versus chili and spices, another favors seafood ingredients over meats or poultry. 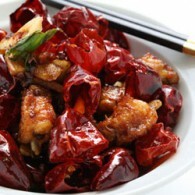 Sichuan cuisine is spicier with a fondness for baking, whereas Jiangsu recipes call more on braising and stewing techniques. The ‘hairy crab,’ found in local lakes, is a popular menu item in Shanghai. 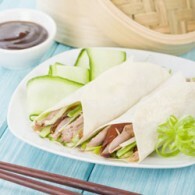 The world-renowned Peking Duck is famous dish everywhere around the planet, not just in China. 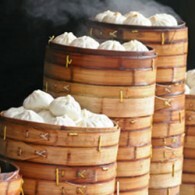 Weather you are ready to discover Shanghai’s street food specialties including the famous dumplings or noodles, or you would like to learn more about the tea culture of the legendary Hangzhou region, visit a tea plantation and participate in traditional tea ceremony, we can arrange the highest standard tours for you.